Dr. Wayne Hurst and Dr. Keith McSpadden are very pleased to offer our community the latest and most comprehensive treatment for foot and ankle conditions and injuries. 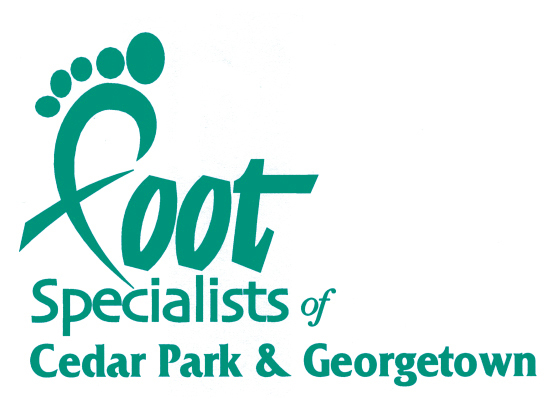 At Foot Specialists, we believe in partnering with you to treat your foot and ankle conditions. Our doctors take time to listen to your concerns and to respond with the best treatment options for you. With the help of our professional staff, we follow up to make sure that general pain and problems are resolved and your health improves. We also strive to inform our patients about podiatric problems and treatments, so you can make better decisions about your health and well being. We utilize a team approach, and we focus on communication and education with our partnering facilities and staff to help improve patient care. · We also treat geriatric, diabetic, and arthritic foot related issues. We believe in advancing our practice through science and research. Our physicians look to stay abreast of new cutting edge technology and treatment modalities. Our specialized services include the use of Digital Radiography (DR), Sonic Shockwave therapy (ESWT), Platelet-Rich Plasma (PRP) and BioDefence Amniotic Stem Cell therapy to treat complex, non-healing issues for bone, tendon and ligament disorders. Our services also include state of the art wound care regeneration grafts & treatments for non-healing diabetic ulcers. ESWT is used to treat chronic ligament and tendon problems (ex. plantar fasciitis/heel spur syndrome, and Achilles tendon). During this non-invasive surgical procedure, sonic waves are directed at the area of pain using a device similar to that currently used in non-surgical treatment of kidney stones. Digital radiography is a form of x-ray imaging in which digital x-ray sensors are used instead of traditional photographic film. Advantages include: a shorter time frame since there is no chemical processing images are immediately ready for preview, and images can be digitally transferred, enhanced, and saved to the patient’s record. Dr. Hurst’s practice has expanded rapidly over the course of his 12 years in Central Texas. With the large volume of patients in the practice, Dr. Hurst is very pleased to have welcomed Dr. Keith McSpadden to Foot Specialists of Cedar Park & Georgetown. Dr. McSpadden is excited to bring his surgical and clinical expertise, along with his caring attitude, to the local community. Dr. Hurst is actively involved with his family and enjoys spending time with them. He enjoys hunting, fishing and scuba diving in his spare time and also serves on the Board for the Samaritan Clinic, providing free care to those in need of it. In addition, he is Medical Director of Hill Country Surgery Center. All offices offer biomechanical analysis of patients and athletes for custom all-sport orthotics. Many patients are enjoying the new selection of shoes with custom orthotics and custom fashion and dress shoes. Diabetic patients that have decreased or no sensation in the foot, greatly benefit from the protection of diabetic shoes and protective insoles. Dr. Hurst continues to provide a large selection of diabetic shoes with custom measuring for foot type and size.